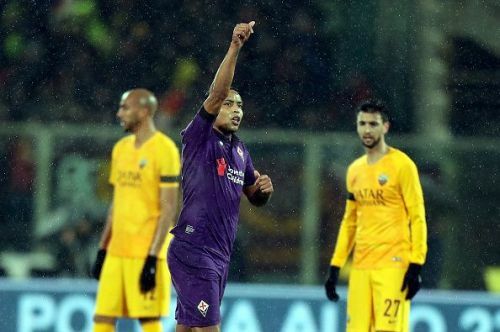 In the first quarterfinals match of the Coppa Italia today, ACF Fiorentina thrashed AS Roma 7-1 to record one of La Viola's greatest victories in recent times. The match started with Federico Chiesa scoring for La Viola in the seventh minute before doubling it in the 18th minute. Aleksandar Kolarov pulled one back for the Giallorossi but new signing Luis Muriel ensured that La Viola entered into the half time with a two-goal lead. The opening 20 minutes of the second half were dominated by Roma with Fiorentina getting fewer touches on the ball, but after that, the floodgates opened. Roma then conceded four goals in the space of 25 minutes as Marco Benassi scored in the 66th minute before Federico Chiesa completed his hattrick in the 74th minute. 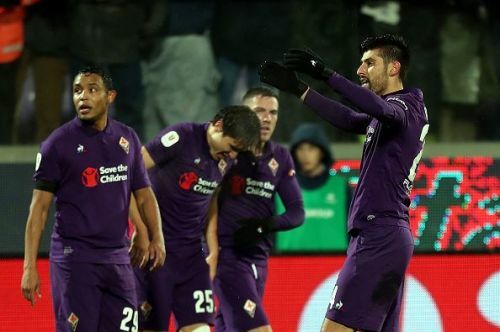 Substitute Giovanni Simeone then came on to score the sixth and seventh goal for La Viola as Fiorentina cruised to an unexpected 7-1 victory against Roma as the Artemio Franchi Stadium. To make matters worse for Roma, key forward Edin Dzeko was given a direct red in the 72nd minute to reduce the Giallorossi to 10 men. Here are 3 talking points from this fixture. Before the start of today's match, Roma twice let slip a 2-0 lead with the first one ending with the Giallorossi winning 3-2 against Torino while the second ended with a 3-3 draw against Atalanta in the weekend. The first goal conceded today was solely due to the Roma defence not picking up Chiesa's run while the second one can be accounted to Kolarov laziness in trying to stop the young Italian's run. The third goal was a much more difficult one to defend but the fourth goal was a product of Roma's lack of concentration as Bryan Cristante instead of clearing the ball, put it up for grabs as Muriel played in Benassi to score. The next one came after a mistake by the captain Kolarov, as Chiesa completed his hat-trick before Simeone came off the bench to score two in 11 minutes to condemn the Giallorossi to a 7-1 loss.